Berlinda Chin was previously the Director of the Office of Ethnic Communities, Department of Internal Affairs and had taken up a secondment as Private Secretary to Minister for Ethnic Communities, Hon. Peseta Sam Lotu-Iiga. Berlinda leads 30 staff across four teams; Knowledge and Strategy, Stakeholder Capability, Business Support Services and Events and Products and Channels in four locations: Auckland, Wellington, Hamilton and Christchurch. 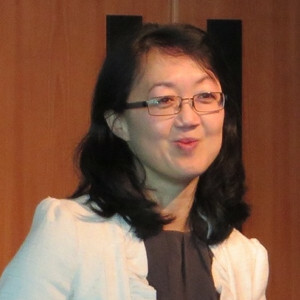 Berlinda is a New Zealander of Malaysian-Chinese descent, speaks Malay, Mandarin, and Cantonese and is an accomplished public speaker. She was a member of the Senior Officials’ Group of the National Migrant Settlement Strategy, National Refugee Resettlement Strategy and holds governance roles on several boards and committees within the Department. Berlinda has extensive experience in export education sector, adult education training and programme design through previous roles in New Zealand and overseas. Since joining the Office in 2005, Berlinda has worked on social and economic issues related to intercultural competence, identifying and leading a range of initiatives designed to build leadership capability within ethnic communities and promote diverse ethnic representation and visibility across the public sector.